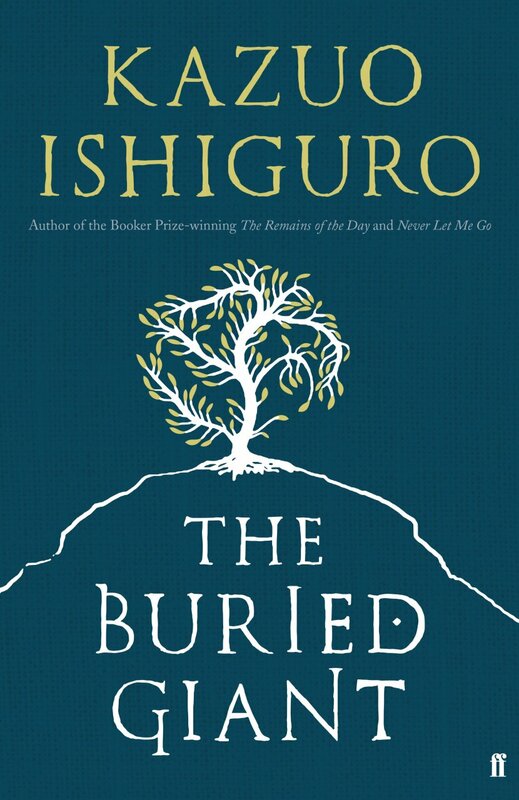 I didn’t come to The Buried Giant by the standard Ishiguro route, since I’ve not read much of his work. All the descriptions I had read before The Buried Giant arrived in my Christmas stocking agreed that it was an odd and peculiar novel from this modern British novelist because it involved giants and knights and other non-standard things that Serious British Novelists shouldn’t bother with. 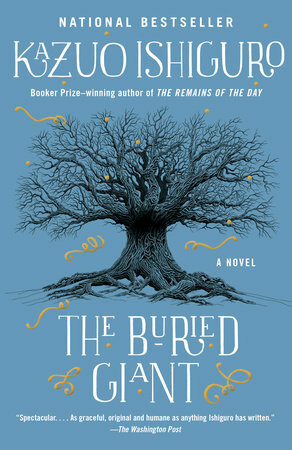 Unusually, the chattering about The Buried Giant seemed to be about which niche the story should be confined to, rather than whether it was any good. I do love it when the mainstream book reviewers get snooty, because that shows they’re out of their precious little comfort zones. I liked The Buried Giant, because it is gentle, but springs surprises out of nowhere. It is cunningly written, gripping the attention through its subdued tone describing a journey packed with unexplained wonders. The story is about an elderly couple, Axl and Beatrice, who are travelling away their village, in which they are – oddly – deprived of candles and other useful things, to see their son. They are worried by a mist in the land that is taking away memories, and they worry that this is bad for them and their neighbours. On their journey they meet and travel with Wistan, a dragon-killing warrior who doesn’t want to be recognised, because he is a Saxon and this part of the land is populated by Britons. They rescue Edwin, an outcast boy who has been bitten by a dragon (shades of Ursula Le Guin’s Tehanu? ), escape some extraordinarily brutal attacks by Saxons and Britons, and find dubious refuge in a monastery that is well provided with death-traps and defensible positions. There is an underground monster, and mysterious ladies of the lakes who confound reality. They meet Sir Gawain, an elderly, creaking knight who is the famous nephew of King Arthur, wandering around the countryside in an aimless way with a horse called Harold. If he isn’t an affectionate homage to King Pellinore of The Once and Future King I’ll eat my brachet. Memories surface out of conversations, and chance encounters open up more stories and recollections, until – partway through the novel – we become certain that Axl is also an elderly knight, that Wistan has a mission that he’s not telling anyone about, that Sir Gawain is lying through his horse’s teeth, and that they should all be careful what they wish for. The reign of King Arthur was not as benign and good for the people as we have been led to believe, and Axl, a gentle, loving, dutiful man, devoted to his saintly wife, may have done terrible things in his mist-covered past. Reconciliation seems desperately needed, and as the reader deduces what might be hidden by the mist, perhaps killing the dragon will do more harm than good. This is a very clever novel. It might also be a fable, or an allegory, but both those labels have too much baggage to work effectively. Think of the episodes in The Buried Giant as moments in a tale described in detail, the reader ushered from one to the next, much like the way Spenser’s The Faerie Queene was constructed, or even Le Morte d’Arthur itself. 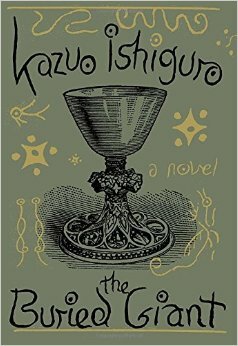 Ishiguro makes the telling of the story reflect what the plot reveals, and compounds the effect of the events with how the reader experiences the plot’s unfolding. There is a buried giant in the story, but he only appears briefly, towards the end. The alert reader will wonder if the title is also an allegory, since such a short and on the face of it not very relevant appearance of a giant buried in the earth hardly warrants the naming the novel. The things that are buried are indeed giant-like in their implications for the characters, for their world, and for how things might go once the dragon has been killed, for this is the quest that Sir Gawain and Wistan are both resolved to accomplish. But only one of them can do it, and there will be swords.